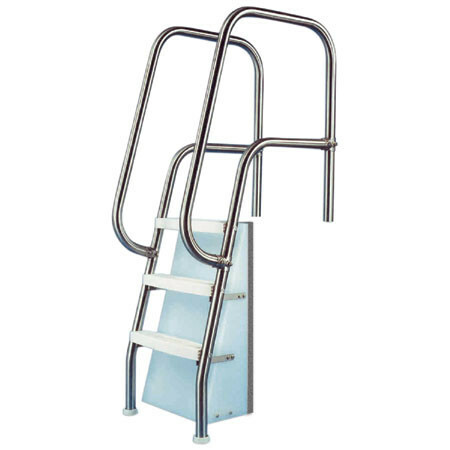 Each ladder comes standard with two frames and injection molded ABS-UV inhibited steps bolted between them.They can also be provided with stamped stainless steel steps upon request. 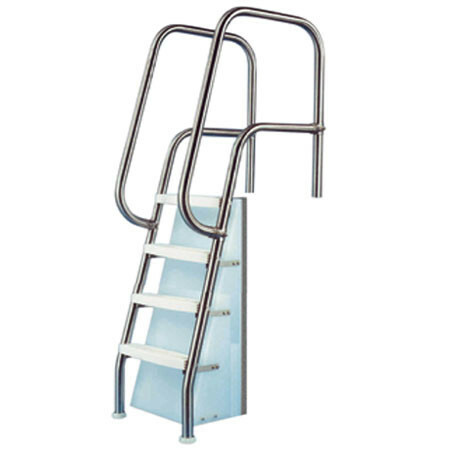 All frames are made of corrosion resistant T304 stainless steel, 1.90" OD tube and provide ample length for a 4" anchor penetration.The bolts have contoured heads curved to fit the tubing of the frames. 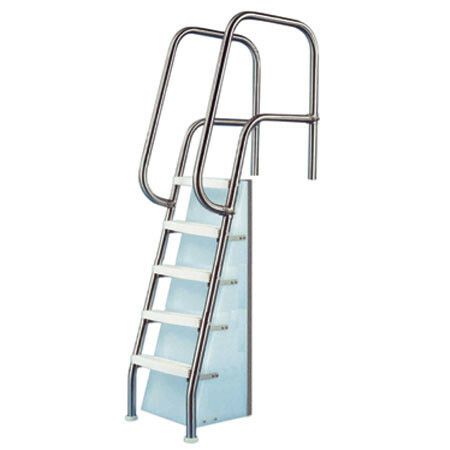 All ladder styles with frames resting against the pool wall have rubber bumpers to prevent damage to the wall. 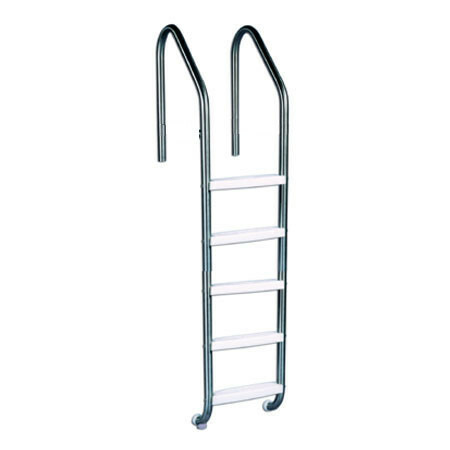 - Heavy Duty Ladder - Made only in thicker grades of stainless steel to with stand heavier usage. 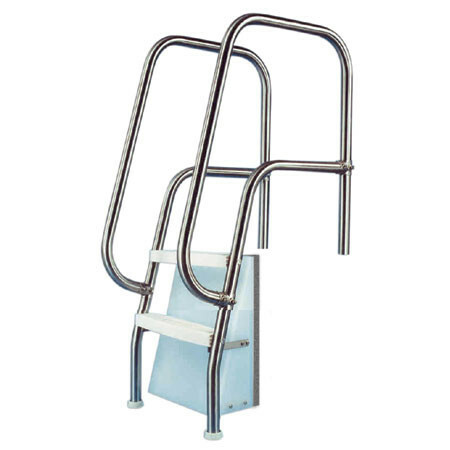 - Heavy Duty with Cross Brace - Recommended for heavy duty commercial use at pools. 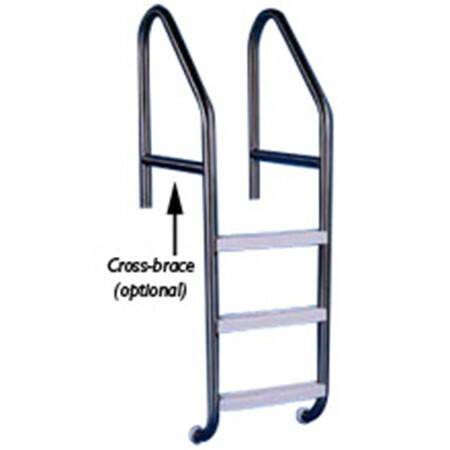 Reinforced with cross brace for extra strength and rigidity. 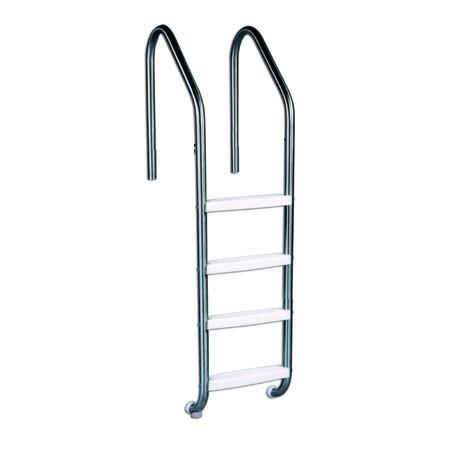 - Deluxe - For right commercial or residential pools.